The Sexual Harassment Prevention Office at 1800 Sherman Ave. The Education Department has opened two investigations into Northwestern’s Title IX procedures. Federal investigators opened two investigations into Northwestern’s Title IX procedures this October, less than a month after the University unveiled its revised sexual misconduct policy. 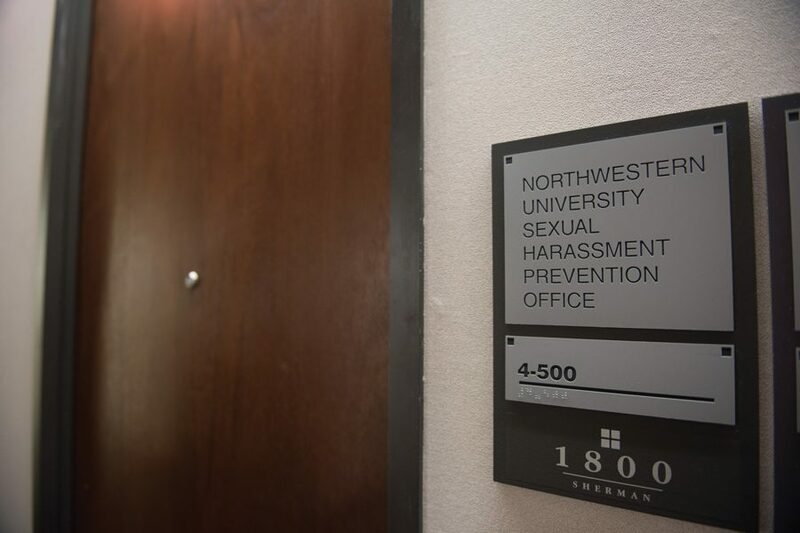 The Education Department opened the probes on Oct. 2 and 10 to examine Northwestern’s “procedural requirements” under Title IX, a federal law best known for protecting students, faculty and staff from sexual violence and harassment in federally-funded schools. The Education Department is tasked with enforcing the law, and could revoke funding from an institution in violation of Title IX, though it has never done so before. It remains unclear why the agency opened the investigations into Northwestern. The Education Department, through an unsigned email, said it “cannot provide additional information or case-specific details for open investigations.” A University spokesperson declined to comment. Under the leadership of Secretary Betsy DeVos, the agency has rolled back Obama-era reforms aimed at boosting protections for survivors of sexual assault. In rules proposed earlier this month, DeVos proposed bolstering due process rights and narrowing schools’ responsibility to investigate claims. Northwestern published its revised sexual misconduct policy in early September after DeVos implemented an interim Q&A last fall. The updated policy changed the appeals process to reduce the number of times an accuser would have to repeat claims during a formal resolution process. The Daily has filed a public records request for documents relating to the investigations.